Black mold detection is important because black mold, technically called stachybotrys chartarum, is associated with numerous health problems, some of them quite serious. You need to know if there is black mold in your home so that you can have it removed as quickly as possible in order to protect your health and the health of your family. Early detection is important because the longer black mold is allowed to remain in a home, the greater the damage to your home and the greater the risk to your health. Mold remediation will also become more costly as time goes on and black mold grows and spreads. We’ll tell you about the various methods of detecting black mold so you can determine what steps you need to take in order to protect your home, your health, and your family. There are several ways you can detect black mold in your home. Some are more effective than others, as we’ll explain. You can inspect your home for black mold simply by looking for it. That isn't as simple as you might think, though. That's because if you're going to inspect your home for black mold, you need to make sure you look everywhere. That includes under carpet, under floorboards, behind wallpaper, inside walls, and inside heating, ventilation and air conditioning ducts. A flashlight and a mirror with a long handle can help you see mold in hard-to-spot places. 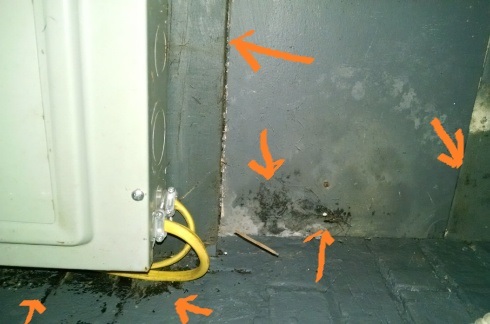 You can read more about conducting a black mold inspection here. You won't be able to tell if any mold you find is stachybotrys chartarum or some other strain of mold just by looking at it, though. Many strains of mold are black in color and look very similar. You can bring in a professional to help you look for mold. In fact, the U.S. Environmental Protection Agency (EPA) recommends hiring a professional to help you look for hidden mold, since the process of searching for mold may inadvertently cause mold to spread or expose you to mold-related health problems. Many mold removal professionals offer free mold inspections and in-home consultations. While they should be able to locate any mold growing in your home, they won't be able to tell you for certain if it is stachybotrys chartarum or some other strain of mold without conducting laboratory tests. They probably know what black mold looks like, but there are other types of mold that look very similar, so it's just not possible to say for sure what kind of mold you have without testing it. If you're interested in scheduling a free in-home consultation and mold inspection, follow this link for a list of qualified mold removal professionals near you. Do-it-yourself mold test kits are available at many home improvement and hardware stores, as well as online. They don't tell you what kind of mold you have in your home, or how bad the problem is, only that mold is present. Some can be mailed to a laboratory, at an additional cost to you, and then you'll receive a written report telling you what kind of mold was found. Others test for only certain strains of mold but not all strains, so if you want to use one of these home test kits for black mold detection, make sure you choose one that tests for the presence of stachybotrys chartarum. We aren't particularly fond of do-it-yourself mold tests because of the high chance of user error. Professional mold testers are often engineers and they are highly trained to conduct mold tests with accuracy and precision. The smallest error can cause invalid results and it's just not reasonable to expect the average homeowner with no training to be able to conduct a test with the same accuracy as a trained engineer. This is the most accurate method of black mold detection and the one we recommend if in fact you need to know if there is any black mold in your home. As mentioned previously, certified mold testers are often engineers and are highly trained to inspect your home and conduct such tests. The results are far more accurate than those obtained from do-it-yourself black mold test kits. You’ll also learn if any other strains of mold are present. The certified mold tester will review the results with you and answer any questions you may have. Follow this link to find qualified mold testers near you.